The weatherman is not cooperating. Just as we were enjoying the first 60-degree days of the year, temperatures are dipping again and there’s a chance of snow next week! Enough already, bring me spring! At least the brewers are cooperating. I’m enjoying mixed 12-packs of spring brew, weather be damned. 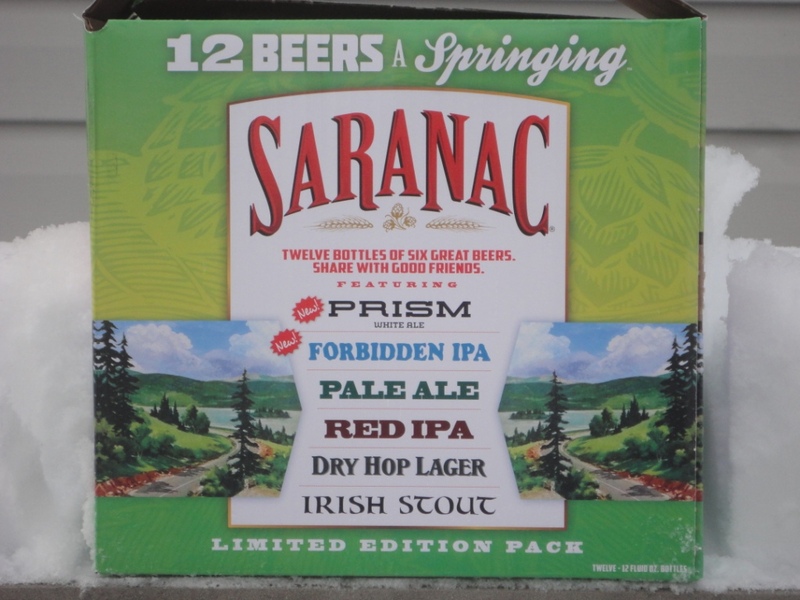 The latest: Saranac 12 Beers a Springing. I really liked this hop-heavy variety pack, and I’ll definitely buy it again this spring. F.X. Matt Brewing Company in Utica, New York brews the Saranac line of beers.